Play is the work of children. It’s fundamentally linked to learning. A well designed playground inspires & supports developmental milestones along the path to becoming a confident, productive member of society. Just as important, a great playground is the perfect setting for fun & sharing joy with friends and family. They help build strong communities. Berliner Play Equipment for Life is innovative. 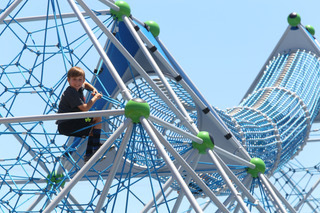 As the original climbing net company, our ever-expanding range of playground equipment sets childrens’ hearts racing. 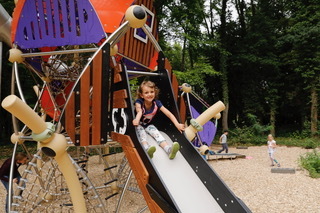 We aim for impressive playground landscapes that stimulate & inspire! 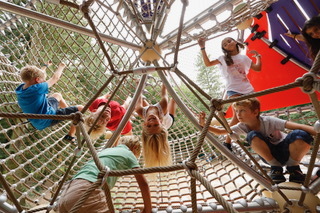 From soaring towers to cozy playhouses, we offer something for every age & ability. Inclusive, universal design is our standard. Our play sculptures are particularly popular with architects and designers. 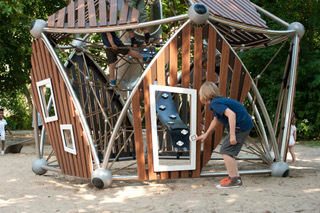 Not only are they fun to play on, they serve double duty as small works of public art! Explore the possibilities with Berliner For Life…..NOT your ordinary playground! We want to know more about your playground project. 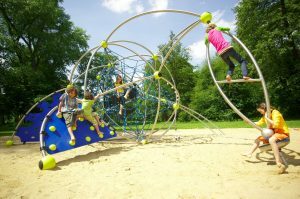 Whether you’re interested in creating something simple or complex, Imagine Nation can find a playground solution to overcome any challenges you face. Allow us to help design your playground—on time and on budget. Contact Imagine Nation online today for your free consultation.